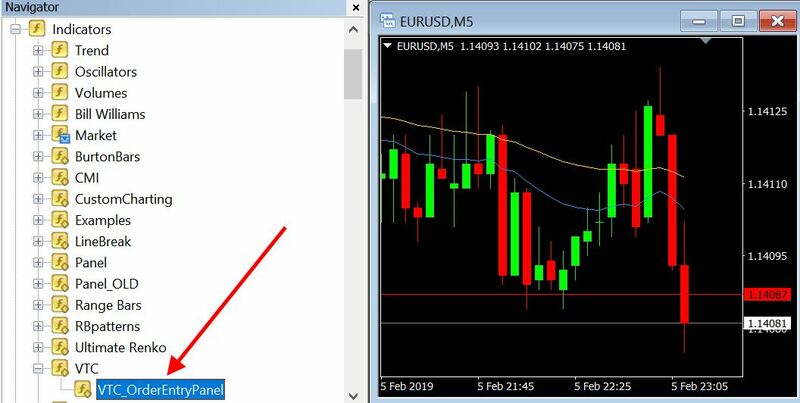 Install VTC and connect it with your Metatrader following the trade manager’s Quick Setup Guide. The indicator can be attached by double-clicking the indicator’s name or by dragging the indicator out of the “Navigator” panel onto chart(s). Before the panel appears on the chart, you will need to accept or change the default settings. 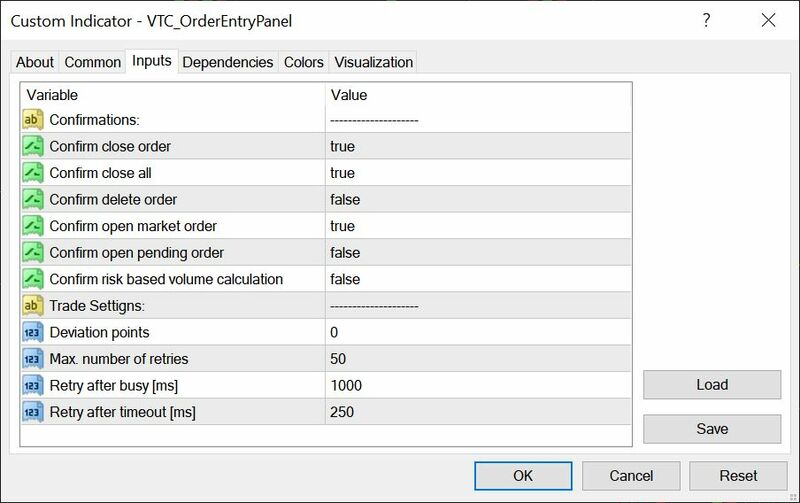 The order entry panel can be freely moved around on the chart and can also be minimized whenever needed. 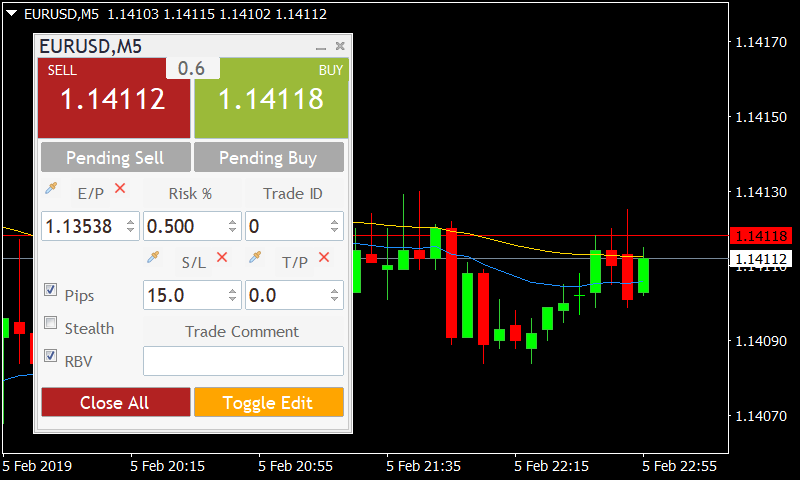 Please see the individual screenshots on the MQL5 Market page. The screenshots contain important information on the panel’s functionality.